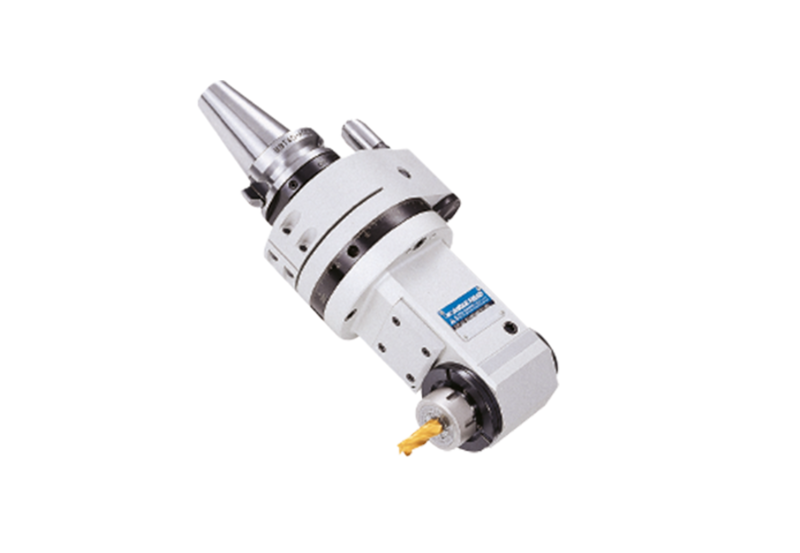 Angle Heads fixed with a 90° spindle angle, combine vertical and horizontal operations on one machine. They increase productivity by easily changing the angle of the cutter while utilizing the original workpiece setup. This improves overall accuracy and eliminates the potential for error created by multiple setups. Coolant through the spindle variation of the Build-Up and HMC type angle heads allow for 1,000 psi coolant through the machine tool spindle and out an adjustable port above the cutting tool.The compact design minimizes overhang adding rigidity and strength, as does the standard BIG-PLUS® shank for different interfaces. Three AG90 types available: NBS Type, HMC Type and Build-Up Type.